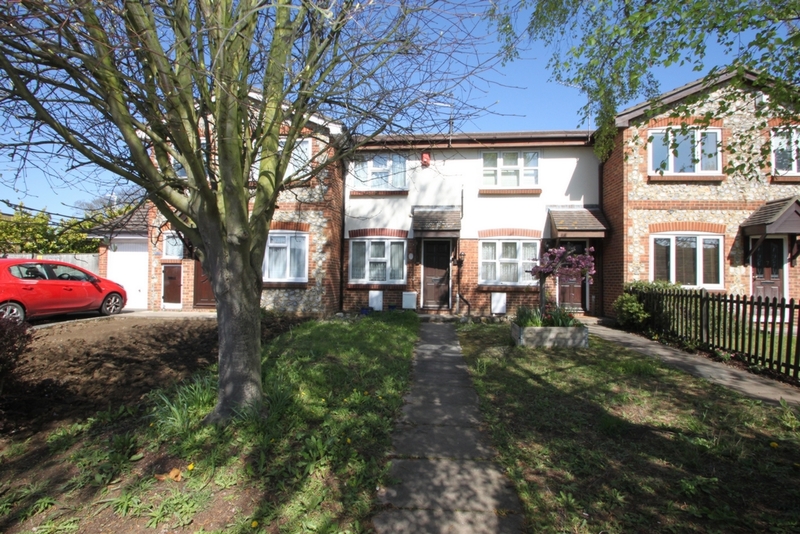 Two bedroom terraced property within a short distance from Greenhithe Station, with links to London in 46 minutes (depending on destination). Short distance to Greenhithe Village, with two pubs and lovely walks along the river front. Lounge 11'08" x 15'10" Carpet as laid, stairs to first floor, window to front, door to front, door leading to kitchen, radiator. Kitchen 11'08" x 5'10" Fitted units with worksurface over, space for cooker, space and plumbed for washing machine, door to sun room, window to rear. Sun Room 11'08" x 6'08" In need of modernisation, door leading to garden. Bedroom One 12'11" x 11'08" Carpet as laid, window to front, storage cupboard housing boiler. Bedroom Two 10'10" x 5'06" Carpet as laid, window to rear. Wet Room 5'10" x 5'05" Fully tiled, wet room flooring, w/c, hand basin, frosted window to rear. Garden approx 25ft, Mainly laid to lawn, patio area to immediate rear of property, rear access. Garage & Parking Single garage with up and over door, parking space with secure bollard to side of garage.